A colorful Dickensian fantasy that leads the reader on an unpredictable path of murder, intrigue, and mystery… It’s a tale of magic lost and recovered, fortunes made and squandered, and broken lives healed, all of it engineered by Yvienne and Tesara, two resourceful and delightful protagonists, in the company of some charming and often dangerous sidekicks. 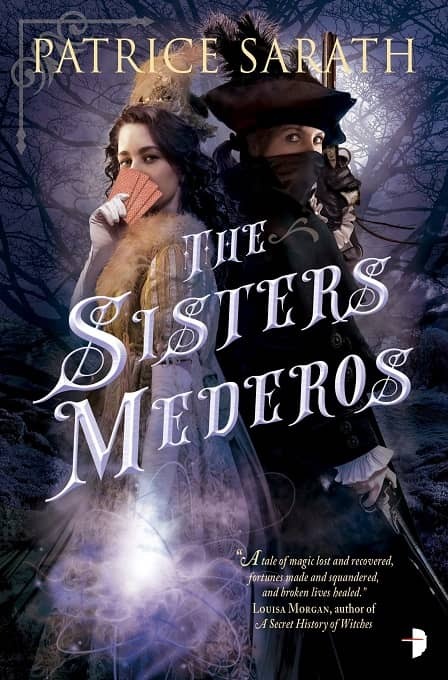 The young women, newly returned from boarding school to a fantasy version of a preindustrial European port city, are determined to restore their family’s fortune and revenge themselves on the corrupt Merchant’s Guild, whose machinations lie behind House Mederos’s downfall. Yvienne, “the smartest girl in Port Saint Frey,” provokes through newspaper editorials, takes a governess job as an entrée into the houses of the powerful, and eventually discovers the excitement of committing armed robbery. Tesara, who conceals supernatural powers that she blames for the shipwreck that ruined her family, ingratiates herself with the upper classes at gambling tables… [The] heroines are entertaining company, and the dynamic between the two sisters — occasionally contentious, often secretive, always loving — is the most enjoyable part of this effervescent tale. 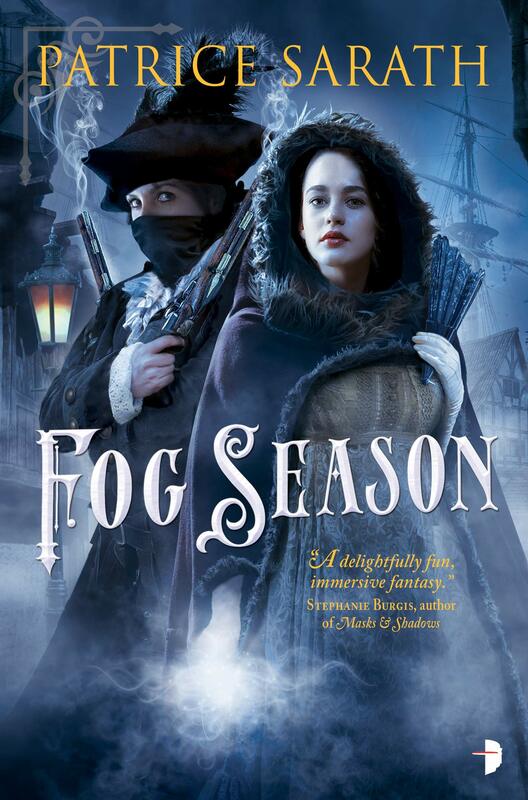 I’m delighted to see the sequel, Fog Season, scheduled to arrive February 5, less than a year after the release of the first, and I hope it’s the sign of more to come. Here’s the description. See all our recent coverage of the latest releases from Black Gate writers here. These are exactly the kind of covers I was talking about in the David Keck post. These could be great books. But they’re already starting out behind when it comes to getting me to buy them because of the covers. I don’t know. Usually I’m right there with you, with the dislike of photorealistic covers. But not this time. I find these covers very moody and atmospheric, and the character portrayals are both alluring and enigmatic. These covers draw me in — especially FOG SEASON, which has a wonderfully evocative port setting in the background. Maybe I’m getting used to them. But I like these quite a bit. I agree with Glenn. These covers look like an advertisement for some new USA Network drama. However, I’m sure that these covers have to be working for some people, otherwise publishers wouldn’t keep using them. Glenn and I are clearly not who is being marketed to. Let me be clear though: I don’t think these are bad covers–just not my thing. I feel the same way. Its obviously working or they would stop doing it. Look at the two covers for Desert of Souls. I asked Howard Andrew Jones if they had seen a sales jump with the new cover that looks more like these and he said they did see a jump.